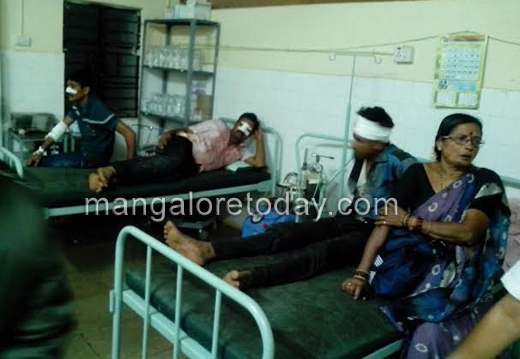 Kundapur, June 24, 2015: The driver of a Mangaluru-Mumbai private bus lost his life and four others sustained injuries collided against a truck on the Highway at Yellapur late night on June 22, Monday. 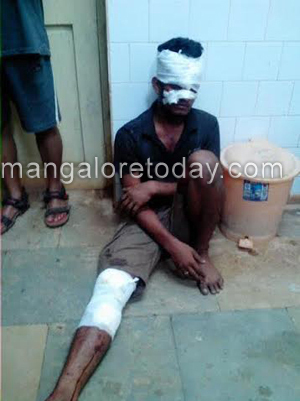 The deceased has been identified as Mahabala Poojary of Kundapur. The mishap occurred when the driver in order to avert collision with a tree that had fallen on the Highway veered the vehicle to the extreme left in turn hitting the truck. Even the driver and cleaner of the truck and two passengers in the bus were injured. The bus belonged to Anand Travels. 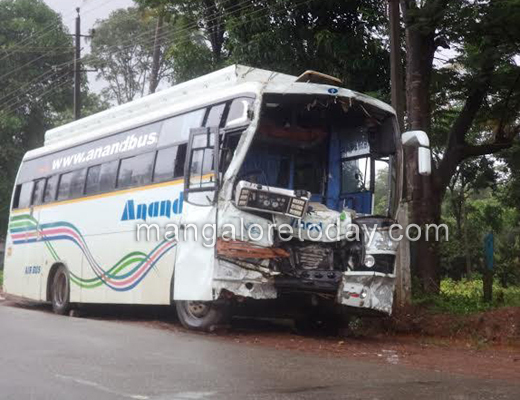 The deceased driver is said to be from Kundapur. Several people including Udupi in-charge Minister Vinay Kumar Sorake paid their last respects to Mahabala Poojary.